Why is it that so many people talk openly about their struggles with diabetes, heart disease, or arthritis, while mental illness is often whispered about or kept hidden within families? Part of the stigma comes from the obvious fact that mental illnesses affect the brain, which we know a lot less about than the pancreas, heart, bones, or cartilage—and which we associate with our behaviors and personality traits. But brain tumors also damage the brain, and have the potential to impact how we think or act. Yet there’s a lot less secrecy surrounding brain tumors than there is around schizophrenia. One of the key differences is our ability to see and measure the pathology. Brain tumors are routinely imaged and described in radiology reports, with stats on size and location. With a biopsy, individual tumor cells can be analyzed under a microscope and the type of brain cancer can be determined. By comparison, the structural or biochemical changes in the brain that underlie schizophrenia remain a mystery. There is no biologically-based method of diagnosis. Fortunately, neurobiologists are hard at work trying to uncover the cellular and molecular pathologies in schizophrenia. An important piece in the puzzle seems to be the dysfunction of the GABA system—the major inhibitory neurotransmitter system of the brain. It is hypothesized that abnormalities in the levels of GABA and the neurons which secrete it contribute to the disease process in schizophrenia. 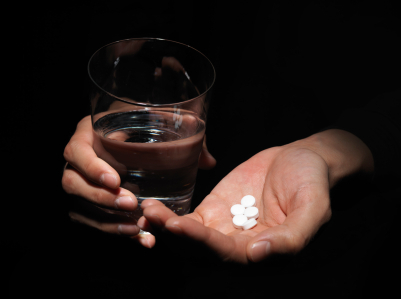 Magnetic resonance spectroscopy (MRS) is one of the tools allowing researchers to begin testing this, and other hypotheses involving alterations in brain metabolites, in living humans. 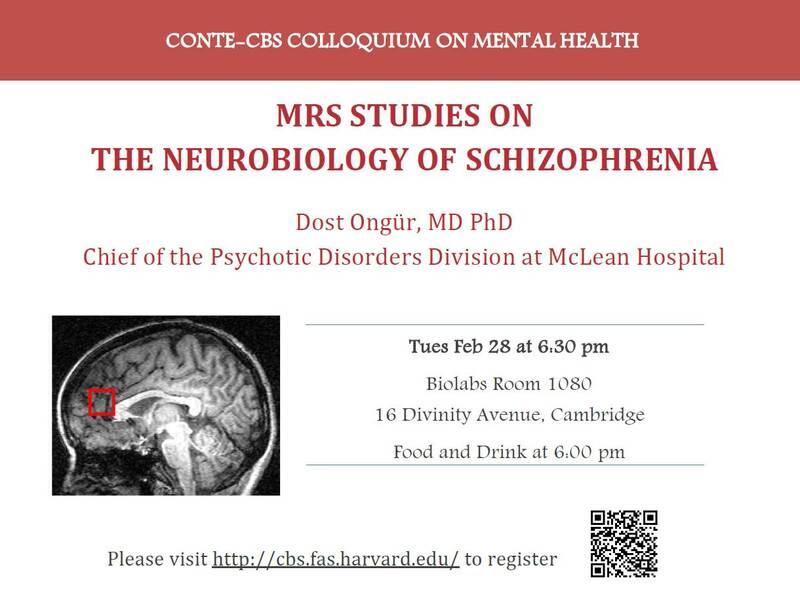 At Tuesday night’s Conte-CBS Colloquium on Mental Health, Dost Ongür, MD, PhD, Chief of the Psychotic Disorders Division at McLean Hospital, will discuss MRS studies on the neurobiology of schizophrenia. In an article in Schizophrenia Research, published April 2011, a group of researchers led by Matcheri S. Keshavan, MD, of Beth Israel Deaconess Medical Center and Massachusetts Mental Health Center, liken the current state of schizophrenia research to an ancient Indian fable about Blind Men and an Elephant. In the fable, six blind men touch different parts of an elephant and come to different conclusions about what the elephant is. While each one is right about his part of the elephant, to figure out what they’re really touching they would have to integrate their observations. Similarly, at present there are many observations of the pathology in schizophrenia that need to be connected. One unifying idea that’s been proposed is that genetic, environmental, or epigenetic factors lead to changes in the activities of various neurotransmitter systems, including the glutamategric, GABAergic, dopaminergic and cholinergic systems. 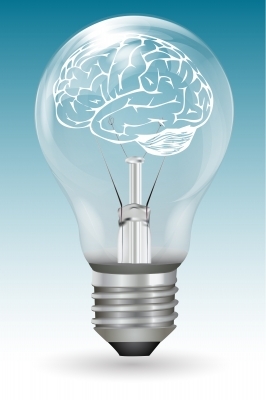 Ultimately, these changes may alter E/I balance and brain plasticity. Image modified from Figure 1 in Keshavan MS, Nasrallah HA, Tandon R. Schizophrenia, "Just the Facts" 6. Moving ahead with the schizophrenia concept: from the elephant to the mouse. Schizophr Res. 2011 Apr;127(1-3):3-13. How might we improve our nation’s educational achievements, spur economic productivity, cut crime, and lessen inequalities in health? The Center on the Developing Child at Harvard has an answer: Protect young children from adversity. And the American Academy of Pediatrics (AAP) has taken the challenge. This month the AAP issued a policy statement, crystallizing decades of scientific research on the damaging effects of early childhood adversity into five formal recommendations for the pediatric community. Key strategies in these recommendations included breaking down the barriers between physical and mental health, training all doctors about the importance of reducing toxic stress in children, and encouraging pediatricians to take the lead in education and advocacy efforts targeting this societal scourge. 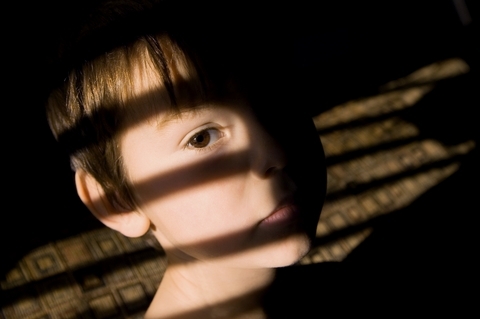 Co-authored by Jack P. Shonkoff, MD, Professor of Child Health and Development and Director of the Center on the Developing Child, the AAP’s call to action was accompanied by a technical report describing the myriad lifelong consequences of toxic stress in childhood. 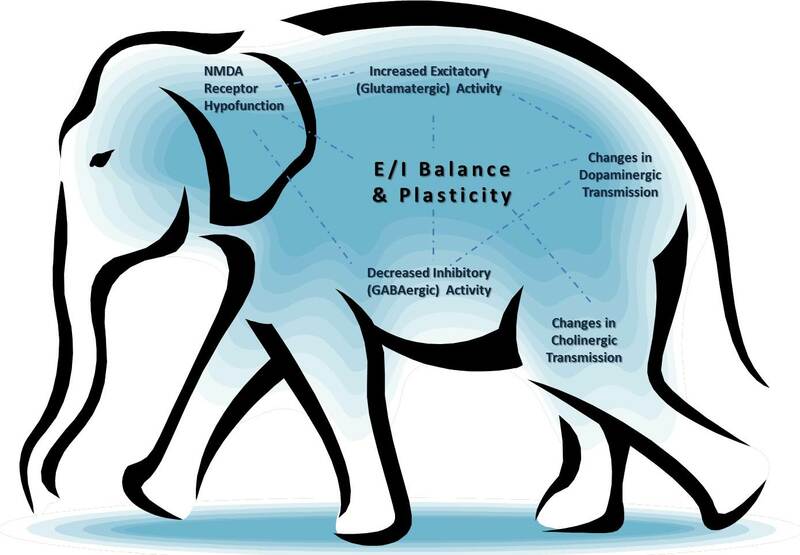 E/I Balance refers to the balance of excitatory (E) and inhibitory (I) activity in the brain. When neurons communicate with each other, they can secrete excitatory or inhibitory neurotransmitters – chemicals that dial up or down, respectively, the electrical activity (aka “firing”) of other neurons. 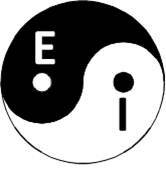 E/I balance is important for the brain’s plasticity, or capacity for change. Early in brain development, this balance is skewed towards excitation. Over time, neurons that make inhibitory neurotransmitter mature, turning on “critical periods” or “sensitive periods”—time windows when the brain is readily shaped by environmental experience. Disruptions of E/I balance are thought to underlie several nervous system disorders, including mental disorders such as autism and schizophrenia. We’re not a sneaker company. And no, we have nothing to do with the latest Apple device or movie on extraterrestrials. E/I Balance is a community blog on mental health research, set up by the Conte Center at Harvard University. Funded by National Institute of Mental Health, the Conte Center is dedicated to basic neuroscience research that probes the origins of mental illness. In collaboration with the Center for Brain Science, the Conte Center is debuting a monthly, interdisciplinary lecture series called the Conte-CBS Colloquium on Mental Health. We hope this blog can serve as a place where people who attend these talks share their thoughts, ideas, questions or research findings with each other. What was the most interesting or unexpected piece of data, idea, or comment in the talk you attended? Why did it grab your attention and what questions did it raise? Did the talk make you think of anything interesting you’ve learned in other seminars, in classes, or in the lab? What was the connection? Have you read an exciting article or book related to the talk, or related to mental health research in general? Is there a new trend in thinking or new method of analysis in your field that might impact understanding of mental illness? What do you think is one of the most compelling questions or problems in mental health research? Why? Windows of plasticity in brain development: What’s a neuron gotta do to open one?